Apple has just released iOS 11 beta to developers at WWDC 2017. If you have not yet updated to iOS 11 beta, and are waiting for a jailbreak, you should stay on whichever firmware version you are currently on. If you are on a lower version that is no longer being signed by Apple, you will not be able to downgrade back to it after updating to iOS 11. For those of you who have already updated and want to get back to iOS 10.3.3/10.3.2, you can only do so while iOS 11 is still in beta. 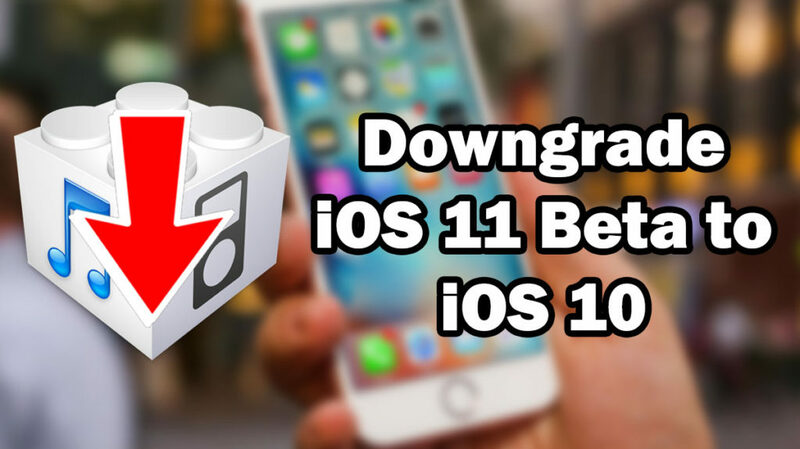 Once iOS 11 has been released to the public later this year, all versions of iOS 10 will no longer be signed, meaning you will no longer be able to downgrade. So make sure to do it quick if you need to. Download the iOS 10.3.3/10.3.2 IPSW file from our Downloads page. Hold shift (Windows) or Alt/Option (Mac) on your keyboard. While you are doing this, click the ‘Check for Update’ or ‘Update’ button. This will prompt you to select the IPSW file you wish to install on your device. Select the iOS 10.3.3/10.3.2 IPSW file you downloaded before. Your device will now begin to downgrade to iOS 10.3.3/10.3.2. i donwgrade for iOS 10 and my iPhone 6s is locked in connect to iTunes screen. anyone help. iOS 11 still has many iOS error and problems. In fact, you may regret and want to downgrade to iOS 10. But what if you want to keep some of your iOS 11 data? If your iPhone is backed up on iTunes or iCloud, then you can use iPhone Data Recovery to restore iPhone from iTunes or restore iPhone from iCloud. Alternatively, before downgrade you can also backup iPhone using iOS Data Backup & Restore. In this case, after you’ve downgraded, you can directly use the same tool to restore seleted data to iPhone! Compared the solution of this article and video below. I downgrade it. My App can’t work now.